AmazingTalker is excited to announce 3 new updates that are being launched to help teachers to recruit more students. AmazingTalker has launched a 2nd marketing campaign with Voicetube which will take place from April 25th to May 9th, 2018. During this time, we will also offer students discounts on English packages from Voicetube HERO and AmazingTalker. We expect there will be lots of new students looking for tutors in the coming 2 weeks. If you want to recruit more students, we suggest you switch on the “Recommendation System", and be ready to contact students. For more details and information on commission system, check out this article. 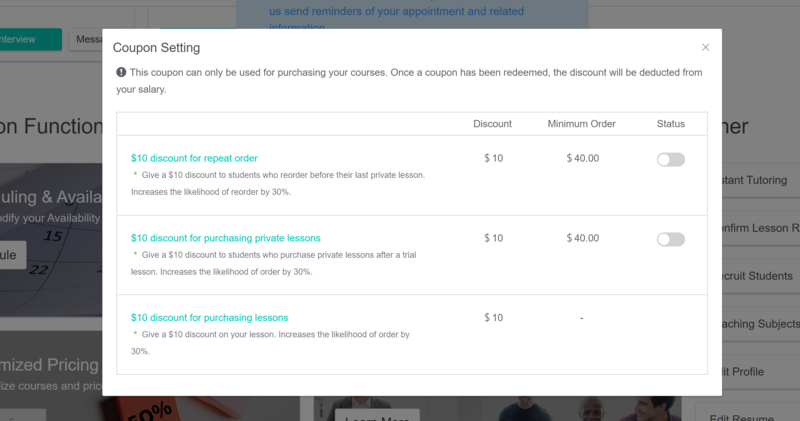 Teachers can now issue custom discounts to specific students. This will be a great way to attract students to purchase your course. 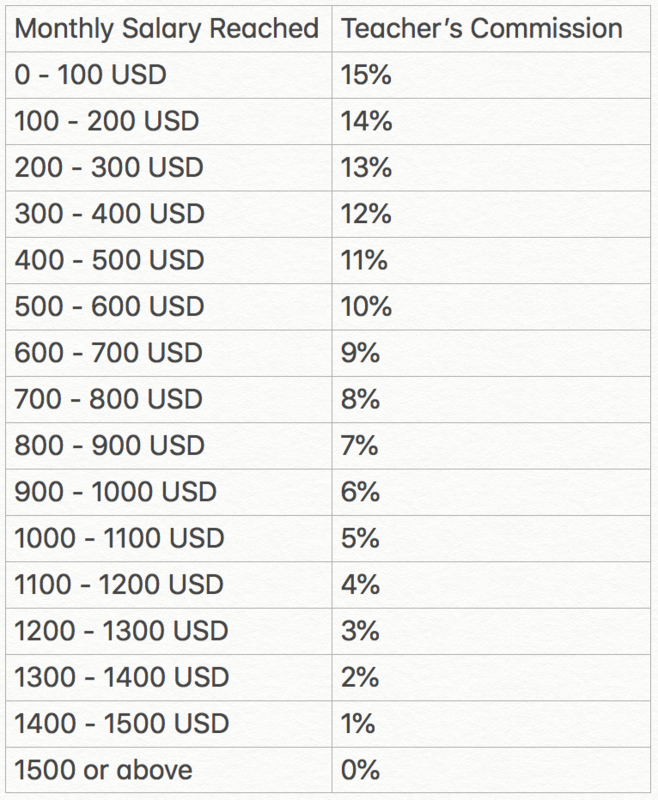 The discounts you offer will be deducted in your monthly salary. For more details and information on how to use the feature, check out this article. If your students have any difficulties in redeeming the coupons, check out this article. With customized pricing, teachers has more flexibility to control your course pricing based on course nature, number of lessons & lesson duration. Then, you can send the specific pricing to different students on AmazingTalker.